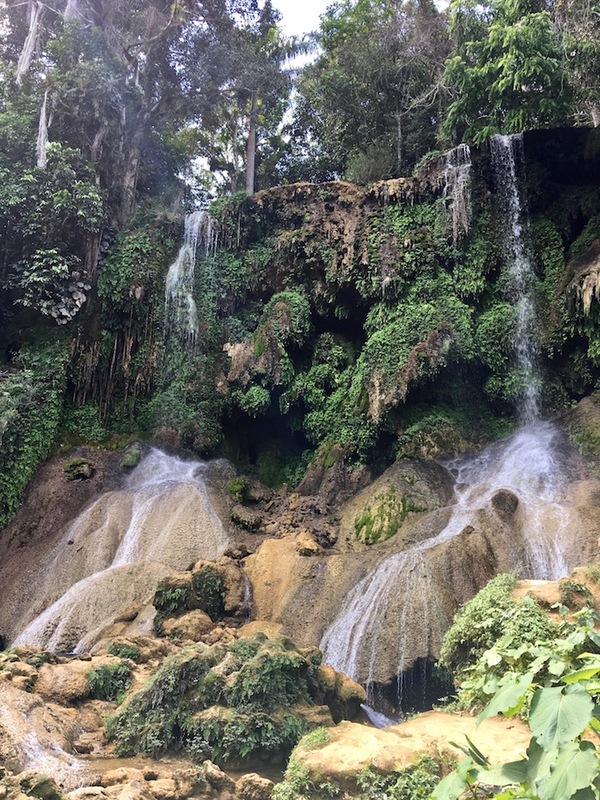 If you do an overnight or two in Cienfuegos like we did, then you want to visit El Nicho Waterfalls. You can also make a day trip from Trinidad as well. Both are a taxi ride away, and it took us a little over an hour to reach El Nicho from Cienfuegos, but we did have some unforeseen stops. It's a pretty steep climb to El Nicho since it's in the mountains. In fact, our driver pulled over on the side of the road at one point, popped the hood and told us to get out. He said that he wanted to cool his engine so we'd make it up the hill. Yup, preventative measures that I will say did work, as our driver got us safely to the waterfall after a series of revving, coasting and forward leaning by all parties. The drive is half the fun. There's a short, but steep climb to the waterfalls - less than a mile. We had a park guide take us up and point out some of the birds and wildlife. It's a lush area with a few falls and pools to swim in or sit beside. Not far from the biggest waterfall is a nice overlook with sweeping views of the valley. 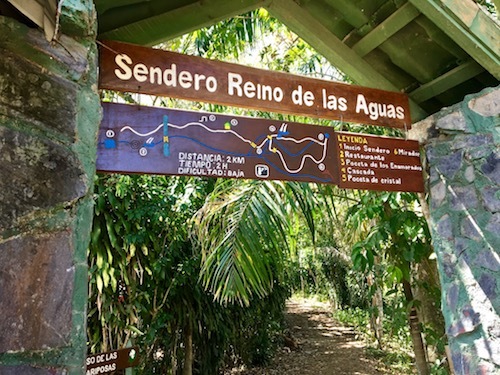 Snap some pics and if you've worked up a sweat like we did after the short, but sweet climb, you'll be ready to dive into one of the waterfalls. The falls further up the hill are the biggest, but also the most crowded, so it's good to try and arrive early. The water was quite cold, but seeing as it was really warm outside, it was super refreshing. Make sure to bring a towel, and insect repelling is also useful as there's critters everywhere. You can bring food and drinks, or have a casual sit down meal at the base of the mountain. Food is decent and reasonably priced with warm soups that hit the spot after a cool swim. The roast chicken is also solid. Grab a cold beer and enjoy the live music that's likely playing. El Nicho is a nice continuation of the laid back atmosphere of Cienfuegos. It's a fun day trip to enjoy some of Cuba's natural beauty. Want to read more about my trip to Cuba?